The number of people moving house in Scotland increased last year, but not as fast as the previous two years, according to a report. An estimated 32,850 property moves were made in 2015, up 3% on 2014. The rise in home-moving transactions in 2013 was 9%, and in 2014 it was 5%. The Bank of Scotland said the new land and buildings transaction tax (LBTT), which replaced stamp duty, helped movers save money and encouraged more transactions. Rising house prices were also a factor, it added. The new tax system meant Scottish home movers saved nearly £900 on an average house price of just over £201,000, according to the bank report. The 2015 figures are almost 20% up on the 2011 market low of 27,500 property moves but are half the 2006 peak level of 66,000 moves. Bank of Scotland mortgages director Nicola Noble said: "The savings created by the new LBTT, low mortgage rates and rising real pay, are combining to drive growth in the housing sector and this is something that is reflected in these findings." "2015 was a good year for those looking to move home. "The ongoing increase in house prices throughout the year will have been especially welcomed by those who bought when house prices were at their peak, and who have been looking to rebuild their equity in order to make their next move." 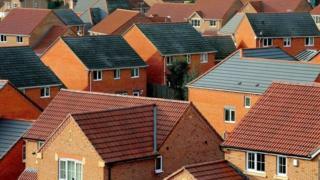 The report was based on data from the Bank of Scotland house price database and the Council of Mortgage Lenders. Reform of stamp duty at Holyrood last year was designed to help those at the lower-priced end of the housing market. That's while it ramped up the tax bill for those who can afford to buy more expensive homes. For those moving house (not including first-time buyers, that is), the average house price rose above £200,000. The tax on it fell last April by nearly £900. Despite that, according to these Bank of Scotland estimates, recovery in the housing market slowed. Growth of 3% in the number of house-move transactions was down on the previous two years, which averaged 7%. The number of first-time buyers also rose, but the slowdown in recovery was even clearer - 1% growth in 2015, after two years averaging 20%. This is odd, because not only has the Land and Buildings Transactions Tax made buying cheaper below £326,000 or so, but mortgages have been very cheap and pay has begun to rise, at last. So the best explanation is that caution has been creeping into the Scottish property market, and buyer uncertainty that either mortgage rates, wage growth and/or house valuations will be sustained. Recent years of recovery, of course, are from a deep slump in the number of property transactions during 2007-10, with prices on the slide then too. Scots home-movers have been more canny about pushing up prices. They've risen by 18% in the past five years. That's the average newly-bought home rising in value by more than £500 per month. But it's the slowest growth rate of any part of Britain. Prices have fallen 4% in Northern Ireland since 2010, though they picked up last year. It's Greater London that is the one to watch, as it causes concern about a possible housing bubble. Over those five years, this research points to a rise of 51% in the average London home-mover's price. It's reached half a million pounds for the first time.